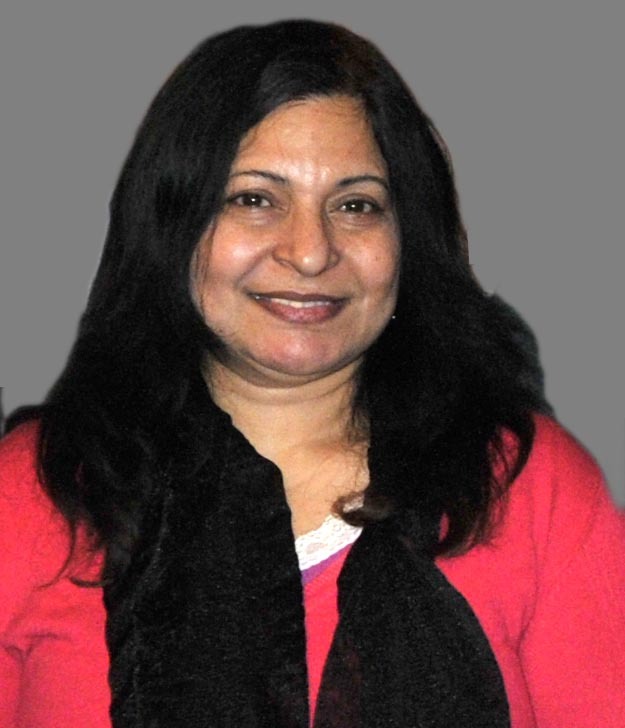 Dr Zubeda Chaudhry has been a Visiting Research Fellow in the Molecular Cytogenetics Lab, University of Leicester, for a year ending in April 2013. She has been working on the characterization of WRKY transcription factors in the banana (Musa) genome during her Fellowship here, supported by a highly competitive and prestigious fellowship from the Higher Education Commission of Pakistan. Zubeda has been a staff member at Hazara University since 2009, acting as Chairperson of the Department of Botany, conducting the Board of Study, and holding two successful Green Days Celebrations for Botany students. She has been invited by many institutes for lectures, and also organised many events for invited lectures from dignitaries in sciences. She ran a substantial project at the Botanical Garden at Hazara University funded by the Pakistan Science Foundation, as well as submitting a project proposal for setting a Bioinformatics department for women at Hazara University to deliver an associated Degree to the women’s colleges. She remains as general secretary for MEXT alumni of Pakistan, participating in many national and international conferences and presenting her research on molecular biology and gene cloning. The year in Leicester is the second substantial period abroad for Zubeda: she studied at Tohoku University, Japan, as a Monbugakshu Recipient and obtained PhD degree in 1998. After completing her PhD she returned to the National Agricultural Research Centre, Chuck Shahzad Islamabad and served there till 2008. Afterwards I joined International Islamic University Islamabad (IIUI) as Associate professor on TTS in Biotechnology Department, before moving to Hazara. The real appreciating matter was the working environment which was quit suitable. I had wonderful time there. To work under the supervision of Prof-Pat Heslop-Harrison was a great opportunity for learning the transposable element, retrotransposon and other similar components of chromosomes. Wet lab experience in combination with Bioinformatics was a stepping stone for me to explore new ideas. The advance techniques including genius system for contig alignment in order to search homology of the contigs and exploring the genome to identify Polymorphism has been a wonderful new knowledge for me. Dr Trude Schwarzacher guided me the FISH Protocol and invited me to participation in her valuable lectures, she has great visionary impact to my understanding of the concept of Molecular Cytogenetic Studies. As a result my core expertise beside Plant tissue culture are Plant Molecular cytogenetic, Bioinformatics, system Biology including Gene sequencing ,FISH, Probe preparation, PCR. During my Post Doctorate research work I have participated in an international conference organized by OWDC in Kuwait, and presented a poster. Proposed research papers from my work are now in progress. My Post Doctorate work expertise will be beneficiary for my country in the future as demands are increasing for sustainable food production. This work will serve for the livelihood improvement for the peoples of Pakistan. Pakistan is an agriculture based country and future demand for food is burning issue not only in Pakistan but also all over the world, my ambition is to set a Musa Resource Centre. By establishing a diversified Musa Resource Centre in Islamabad with emphasis to Pesticide Reduction Plan which will be helpful to attain the targets of sustainable food production, we will be able develop a joint research scheme by writing a project proposal and will submit to donor agencies across the world. 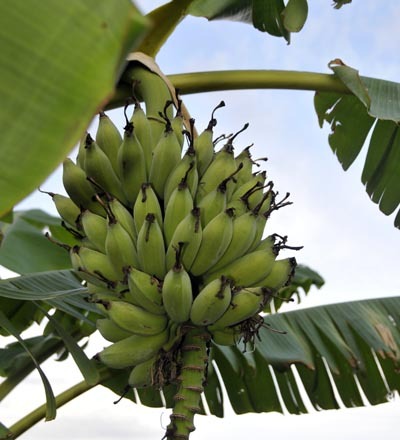 This will help not only for delivering the advance techniques among the students but also enhance a healthy edible banana production. This also shall create job opportunities for new graduates in our country. Further this advance knowledge will equip the students with techniques serve them being useful resources anywhere. It has been great having here in the lab in Leicester, and we look forward to more collaborations. my pray that your project may successful, its good for poor peoples of Pak, your hard work is appreciable. There is no doubt that our motherland is oozing with great and super talent. The need is to take care and flourish it down to coming generations. Specially regarding women we have to be extra careful in protecting them against all the harms. I wish her all the best in serving the motherland and may ALLAH be with her in every step she takes towards glory of our nation. wel good job done ………. we are proud on you …mam…………. Lets join hands to create opportunities for that YounG Blood of country who is intelligent & energetic with great abilities of doing innovative works but they don’t have Means !